Trump warms up to Janet Yellen. Really? What does President Donald Trump really think of Federal Reserve chief Janet Yellen? It's hard to say exactly. Like a lot of things lately, Trump seems to be softening his view of her. This week, the Wall Street Journal asked Trump if it was safe to assume Yellen was "toast" when her term as Fed chair is up in February 2018. He responded with a few kind words. "No, not toast," Trump said. "You know, I like her, I respect her. She's been here [in the Oval Office.] She's been in that seat. I do like the low interest rate policy." Yellen has been overseeing a very gradual increase in interest rates, starting in December. Wall Street is happy with the policy and, most importantly, President Trump has learned that it won't help his economic policy plans if rates rise too quickly. Of course, as an outsider candidate, Trump accused Yellen of colluding with Obama to keep rates low. But experts say Trump's comment shouldn't be taken as a sign by itself that Yellen will be reappointed. Among other things, it's way too early to be talking about. "This is a complete 180 degree change in view for him. He bashed her pretty hard during the campaign," said Chris Rupkey, chief financial economist with Bank of Tokyo Mitsubishi. "But we don't know the other candidates yet and it is still very early." Much of Trump's criticism of Yellen came well before the Fed started raising rates. He told Bloomberg in October 2015 that Yellen was a "very political person" who was keeping rates low to help President Obama. And he told The Hill that the Fed was responsible for a stock market bubble and hurting retirees who couldn't get any interest on savings. "They worked all their lives to save and now what happens is they're being forced into an inflated stock market and at some point they'll get wiped out," he said. Trump told Fortune in April that Yellen had done a "serviceable job," but added "I would be more inclined to put other people in." The following month, he told CNBC that he liked low interest rates and had nothing against Yellen -- but still said "I would most likely replace her" because she wasn't a Republican. Presidents Obama, Clinton and Reagan all reappointed Fed chairmen appointed by predecessors of other parties. By September, Trump's support for low rates had disappeared and he was turning against Yellen again. He said she was keeping rates low to help Obama and Clinton. "The only thing that is strong is the artificial stock market," he told Reuters. He also told CNBC that Yellen was "obviously political, as she's doing what Obama wants her to do." Trump said Yellen should be "ashamed" of what she and the Fed had done to the country and that the Fed is not even close to being independent. Yellen actually responded to the criticism at her next press conference: "We do not discuss politics at our meetings, and we do not take politics into account in our decisions." A week later, Trump doubled down on his charge that the Fed was being political. 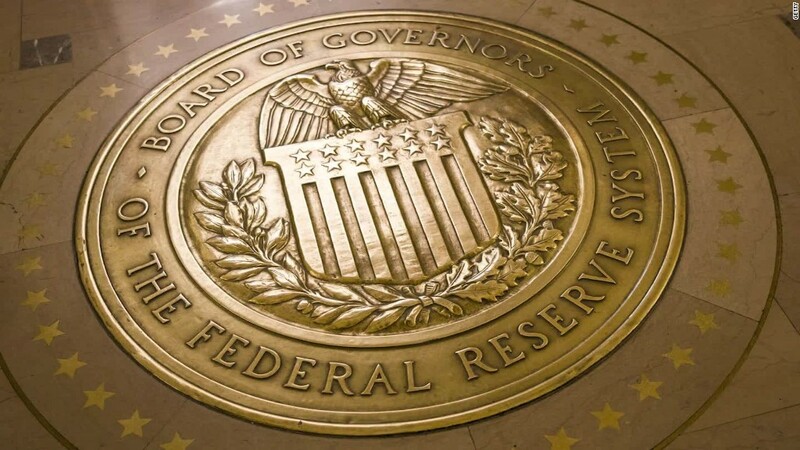 "Fed is not doing their job. The Fed is being more political than Secretary Clinton," he said at his first debate with Clinton. He said stocks were in "a big, fat, ugly bubble."